Post the budget, 10-year bond yield spiked to 7.6 percent as the immediate implication of the budget on the economic front is - higher market borrowings by the government. 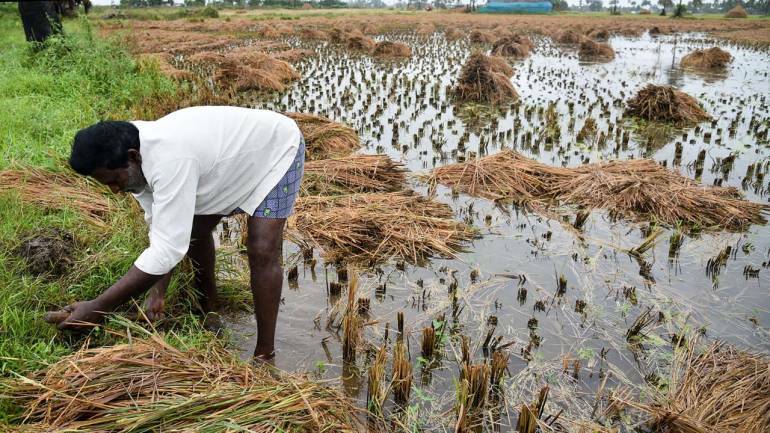 Farmers | Farmers with less than two hectares of land will be offered Rs 6,000 per year, as direct transfer, under PM Kisaan Samman Nidhi. The benefit will be transferred directly into the bank account of beneficiary farmers in three instalments of Rs 2,000 each. The scheme will cover more than 12 crore farmers across the country and will cost the government around Rs 75,000 crore. Budget was an exercise by the government to improve the fortunes in the forthcoming general election. In the short term, the stimulus of Rs 93,000 crore to salaried employees and farmers means a boost to consumption but much-needed infra and capex spending continue on the backseat. Budget estimate on the revenue front appears unconvincing. Though one should not take a full financial year view on the basis of this budget as policies of the new government post general election in May would finally decide how government finances look when we end the coming financial year FY19-20. Raising the income tax exemption limit to Rs 5 lakh will help three crore taxpayers and would cost about Rs 18,000 crore to the exchequer. This surely is a strong positive measure for lower income group and urban youth population in their early career. Also, PM Kisaan Samman Nidhi package where Rs 6,000 would be given to small and marginal farmers owning less than two hectares in three instalments every year will impact about 12 crore farmers across the country. Post-Telangana state election where incumbent government re-election has been attributed to the success of a similar scheme, it was widely expected that something similar would be announced by the Centre as well. This would cost about Rs 75,000 crore including Rs 20,000 crore in the current financial year. This is about 0.35 percent of the GDP and in that sense much lower than feared farmer loan waiver that would have coasted 2.5 percent of the GDP and would also have worsened credit environment. These two populist measures added together will have an incremental impact of close to 0.5 percent of the GDP on fiscal deficit and is in line with our base assumption. The problem here is that on revenue front numbers are not credible. GST collection has remained well below the budget target for FY19. Not only GST but to some degree even other sources of government revenue like direct tax as well as others like disinvestment and telecom auction have remained below the budget estimate. These make fiscal deficit target of 3.4 percent appear unconvincing. Post the budget, 10-year bond yield spiked to 7.6 percent as the immediate implication of the budget on the economic front is: Higher market borrowings by the government. Post state election results in December, there were uncertainties on how populist the government would become and how damaging that would be for the economy, which is settled now and surely it is not as bad as it was feared. The author is Chief Investment Officer at Narnolia Financial Advisors.